That’s roughly how many children’s books volunteer cyclists hauled from Coffee Emporium in Over-the-Rhine to Parker Woods Montessori school in Northside Friday, as part of the Ride for Reading program. 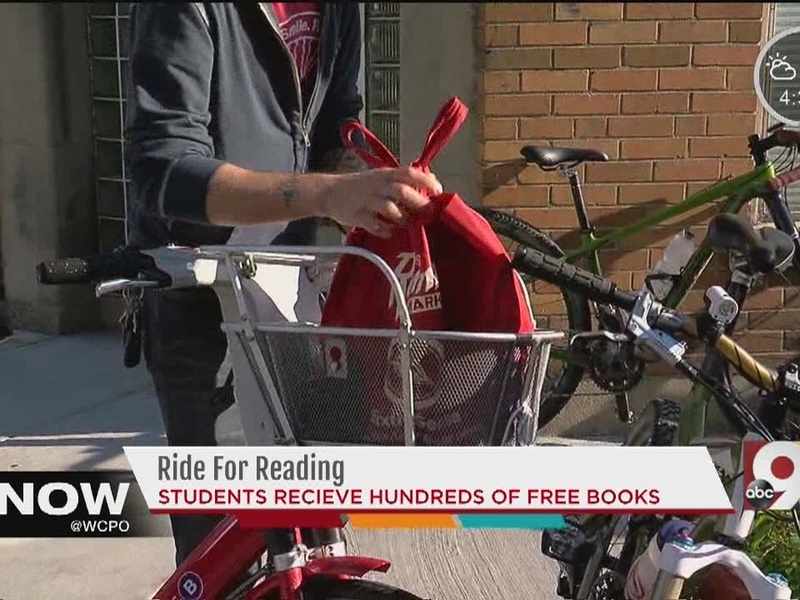 Just one of more than 70 events planned to celebrate Bike Month this May , Friday’s Ride for Reading is part of a national program, organized locally by SPUN Bicycles, in Northside, and Wordplay Cincy. “It’s the best event you get to do on a bike,” said SPUN owner, Judi LoPresti. “You feel like a rockstar, and the kids love their books. So, why Parker Woods Montessori? That makes donations like these a pretty big deal for these children. According to data from the National Institute for Literacy, 45 million adults can only read at a fifth-grade reading level. 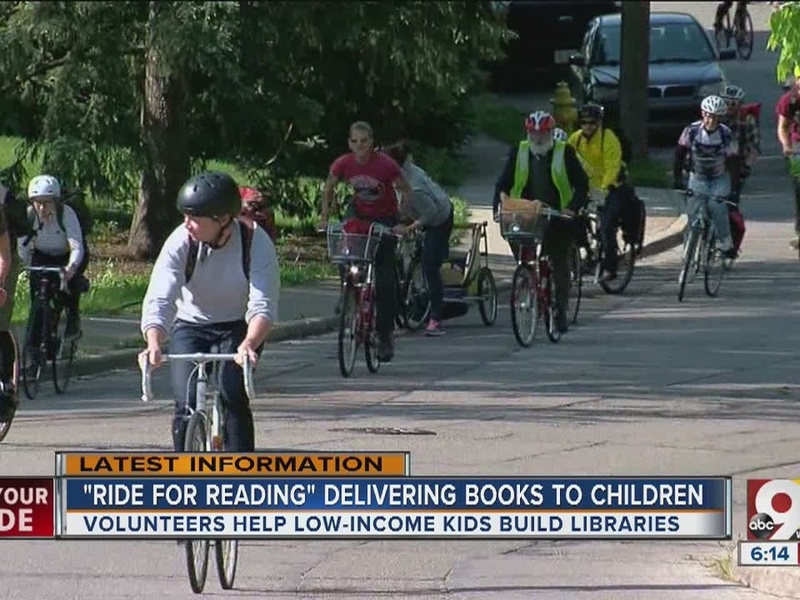 With that statistic in mind, programs like Ride for Reading are about more than just getting children excited about books: It’s also about ensuring the literacy of future generations. “People actually care about reading, and not a lot of people in the world do that, so it’s really good to get these books,” said Sydney Lett, a sixth grader at Parker Woods. And even beyond literacy, it shows these children that the world is looking out for them. Just ask Parker Woods fifth-grader, Zackary Dockery.